Whether you’re considering an upgrade to your current kitchen or adding a lower-level kitchenette for entertaining or in-law apartment, it’s important to incorporate all the latest kitchen trends. I know you’ve been dreaming that your own kitchen could someday include many of those amazing features you’ve seen in style magazines or on HGTV. But you might be wondering where to start, so I’ve researched the 10 most popular ideas on the market today. Not only will you love how organized and stylish your new kitchen feels, you’ll get to share your chic expertise when friends and family ask for your advice on how to improve their kitchen space. 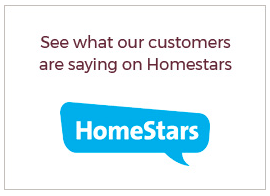 Even your husband will be impressed when you tell him that every dollar invested will add value to your entire home. I just love using spices when I cook, don’t you? Just one whiff of dried basil or rosemary makes me hungry. There’s no need to hide those natural beauties in a drawer or kitchen cabinet. Why not proudly display them inside a kitchen wall with a recessed spice shelf? Or how about a tiered shelf with interchangeable shelves hung right below your cabinets? Or maybe a free-standing rack on a lazy susan turntable. Be sure to look for some cute apothecary jars or bright-coloured mini-canisters with clear labeling to add a little festive flair to your kitchen decor. Current trendsetters recommend keeping spices close to the stove for easy access when you’re creating family meals. This classic feature has made a massive comeback for its easy access and flexible applications. Originally designed for those hard-to-reach base corner cabinets, they’re now available for the upper cabinets too. 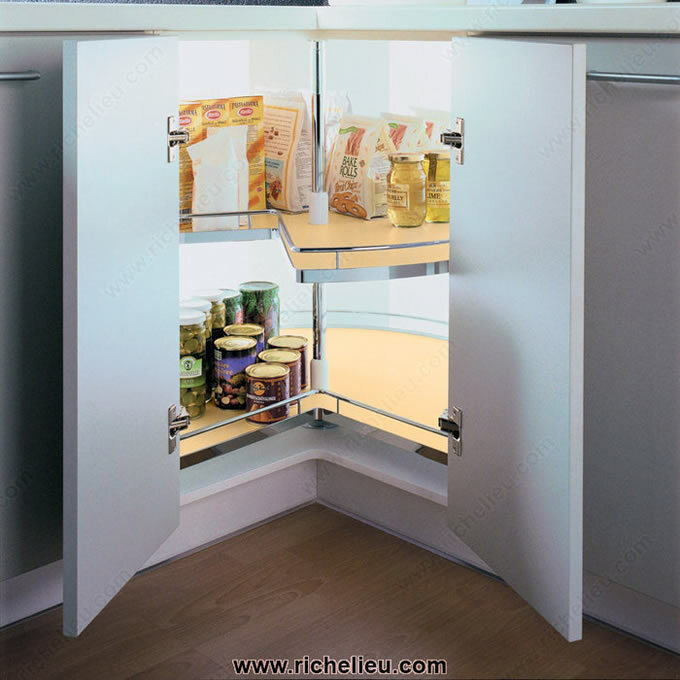 Single, double and triple D-shaped shelves rotate independently to create the perfect cabinet pantry with plenty of accessible storage space. The table-top lazy susan is very popular too. Set a single or tiered unit in the center of your dinner table so everyone can reach the condiments, spices, or even a second glass of wine. The possibilities are endless and only limited by your imagination. Whether you intend to do a complete remodel or add a few new amenities, you must consider custom inserts. These can be anything from stained glass windows, display plate racks, corner shelf unit for upper or island cabinets, a built-in wine rack or hanging pot hooks. Modern kitchen designs utilize these beautiful pieces to add a decorative touch. Cube shelving inserts fit into even the smallest spaces and can be customized to hold plates, serving pieces, linens and knick knacks. No area is wasted in today’s popular islands. With designs that look more like furniture than kitchen cabinets, customizable inserts fill corners with shelving, open wine racks, curio-style displays and nested baskets. Speaking of islands, if you’ve got enough space for one, you have to consider adding a drop-in sink with a granite kitchen countertop, a durable inlay cutting surface, or extremely popular wine/beer chiller. Don’t forget to include bar stools along one side for extra seating or casual snacks. These pull-out systems have taken organization to a new level. 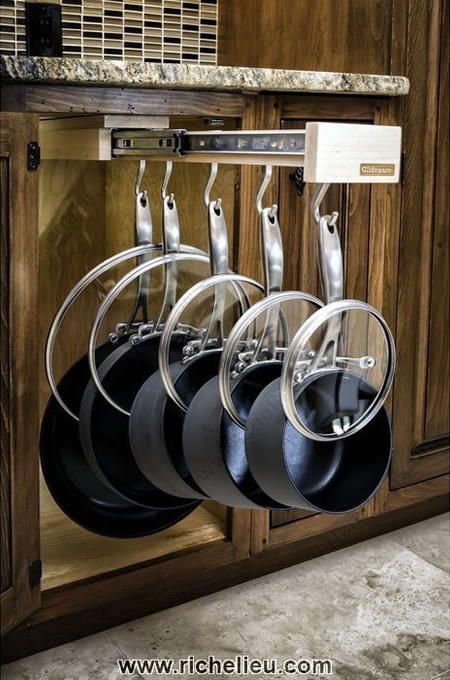 These are designed to fit standard cabinet sizes and can accommodate heavy cookware up to 100-pound capacity. All Glideware products are weighted to keep cookware quiet through synchronized motion. You’ll never have to crawl into the cabinet again to reach unruly kitchen utensils or equipment. Elegant kitchen carts are designed to expand your work space while providing a dedicated place for meal preparation. Freestanding carts are perfect for compact kitchens or kitchenettes without a lot of counter or storage area. Butcher block tops are all the rage these days and are ideal for cutting and chopping . Many are configured with shelves, wine storage, stemware racks and towel racks to keep everything in its place. Another trending style features a granite top for durability and classic styling. Supplies and gadgets are within easy reach with spacious drawer and cabinet areas. It comes with easy roll wheels, so you can move it wherever you need it most. A white or stained finish will definitely complement your own decor. Stainless steel appliances are still popular choices among interior designers and homeowners for their simple, transitional design. Kitchen carts with stainless steel tops will match your room and make clean up a snap. Pull-out baskets provide hidden storage while a large bottom shelf will keep your oversized pots organized. Today’s designers are incorporating multi-level countertops into all kitchen areas. Natural granite and quartz selections add texture and stability that allow varied heights and configurations. Island tiers are quite attractive and functional – the lower area works well for comfortable meal preparation and clean-up while the upper level allows for bar stool seating at just the right height. If your passion is baking, then you must include a pastry table in your main work triangle. These old-fashioned baking stations are typically lower than the standard countertop and feature a solid surface such as marble for rolling out pastry or dough. Keep a shelf for a pop-up mixer, and you’ll have those delectable baked goods in the oven in no time. Whether you have a lot or just a little room, you’ll want your cookbooks and recipes close at hand. Hang some extra floating shelves near your main workstation to hold your most treasured cookbooks and recipes cards. Island end caps work great for overflow as do glass door pantry cupboards. Your library of colourful culinary tomes will add a homey backdrop to your beautiful kitchen decor. For those days when you just don’t have time to prepare a home-cooked meal, keep a basket, binder or extra drawer space for all those take-out menus. Organizing them in one place by ethnicity or food type will make ordering quick and easy too. Not just for silverware anymore, great drawer organizers with expandable dividers will keep everything in its place. Deep drawer dividers work great for measuring cups and spoons, big utensils, knife docks, spices, boxes of crackers, pasta, canned goods, snacks, and yes, even silverware. They can even be used in refrigerator or freezer drawers to keep fresh or frozen foods neatly stored. With so many uses, you might imagine these ingenious innovations are made from a variety of materials, such as mesh, plastic, wire, bamboo, wood and metal. You’ll never need to rummage through a drawer looking for a missing spatula or favourite seasoning again. To keep cleaning products, dishwasher detergent and miscellaneous scrubbing paraphernalia organized, I discovered a fantastic wire basket made especially by Richelieu for this tight spot under the sink. It slides easily on tracks attached to the bottom of the cabinet and fits under the plumbing, so you’ll never have to climb inside to find your missing sponge again. The open wire design means your basement kitchenette cabinets will also stay dry and bacteria-free when not in use. These come in a variety of configurations, so you can use it for storing extra kitchen towels, paper products or even drying rack. The primary functions of a kitchen have expanded to incorporate new and exciting uses. When other rooms spill into the kitchen area, you’ll need to create a balanced flow. 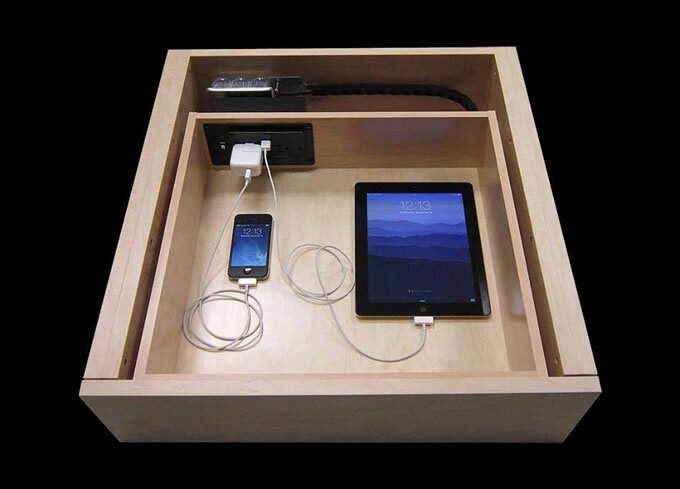 You can accomplish this with nook areas for a media center, a desk or technology charging station or even a bar area. Add a china cabinet, armoire or credenza to provide more usable storage and display space. 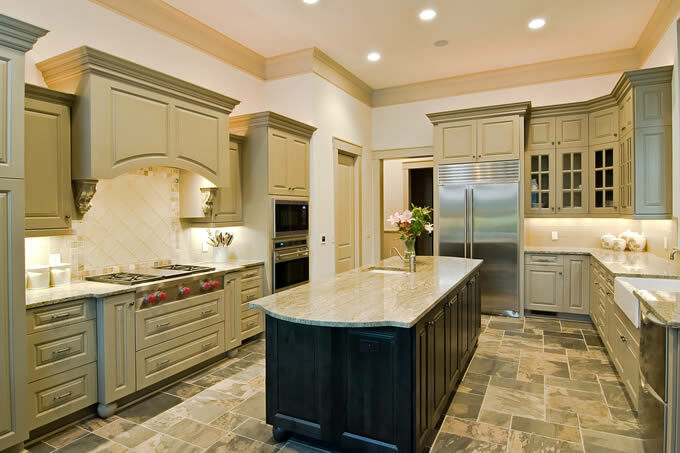 Your kitchen has always been one of the most important rooms in your home. It’s a favourite gathering place for daily family time and a great place for entertaining guests. With so many new enhancements available for this popular space, you’ll want to get started on that renovation project right away. Whether you spend a little or a lot, you’ll be adding value to your home and creating a place everyone can enjoy for years to come.